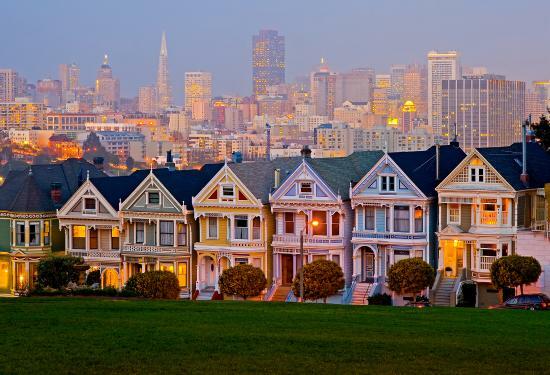 San Francisco is situated on the West Coast of the United States. Most people would think that this huge city is impossible to visit just in a few days. However the most important and most interesting part is only 11x11 km. So if you have only a short time to spend you still can make the most of it. 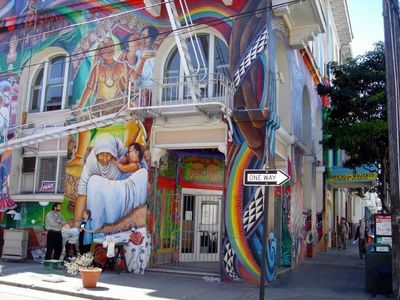 The city that prides itself to be the most colourful and open-minded of all American cities since the 50's of the United States has a lot to offer to all type of travellers. Each and every district is a chapter on it's own. 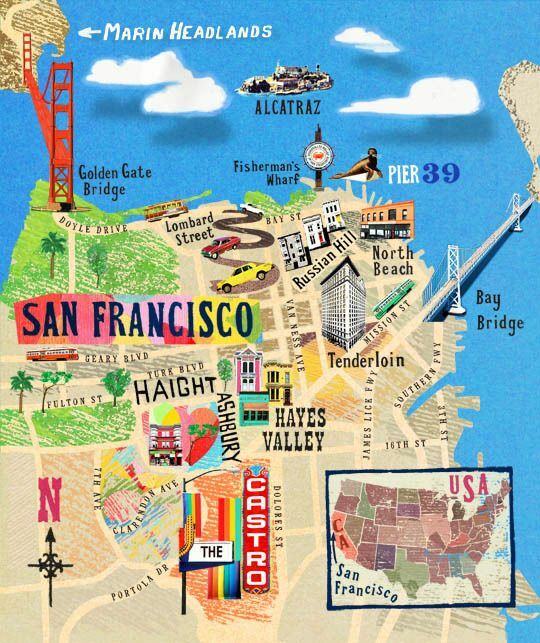 Starting with the Golden Gate district, the Fishermans Wharf through the Castro-Noe Valley which is mostly the home of the LGBTQ community, the Avenues till the SoMa district. Take a stroll in Haight-Ashbury, Alamo Square, Pacific Heights or Castro-Noe district and you will be able to see on your own eyes the row houses well-known all around the world. So we can say not all famouse architecture in San Francisco are high-rises. There is a great amount of beautiful Victorian and Quenn Anne homes scattered all around. They are painted with vivid colours. Some of these houses are on the National Register of Historic Places in San Francisco. Alamo Square has some of the most photographed row of colorful Victorian houses. They are on the lower side of the sloping square giving great view of the city in the background. What is less known that because of the need of preserving the original architecure with extremely restrictive building and planning codes. Due to these efforts there is a grate shortage of housing in the city cousing the rents reaching astronomical hights. 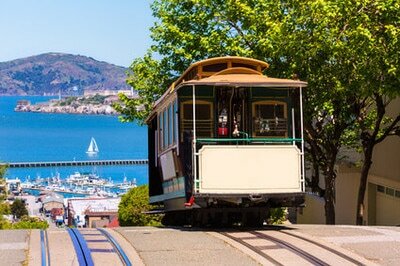 The San Francisco cable cars are one of the symbols of the city that is the only moving National Historic Landmarks in the USA and it's featured in the National Register of Historic Places. 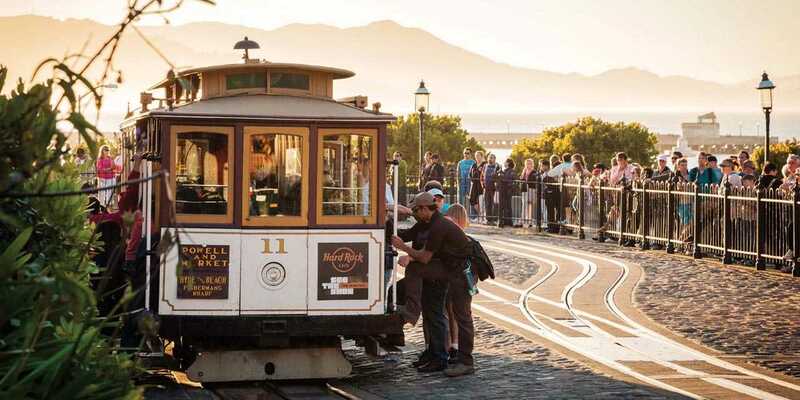 San Francisco's cable cars are the oldest manually operated cable car system. 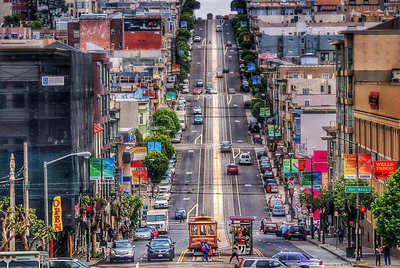 Cable cars were first used in San Francisco in 1876. There were 23 cable car routes all around the city which mainly were destroyed during the 1906 Earthquake. The mayor wanted to end all cable car services but a public campaign saved the cable cars. Today, there are three cable cars lines in operation. They are the part of the public service however the annual 7 million passengers are mainly tourists. This is a bit of a strange, one of a kind historical landmark. The columbarium is definitely off-the-beaten path attraction. Originally was supposed to compliment the crematorium designed in 1895 but after cemetery burials and cremation were banned and people were forced to move their families' remains the place was abandoned. 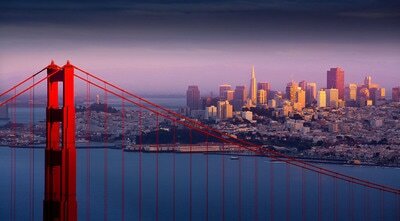 Those who are interested in the history of San Francisco this is a great place to start with. You will be able to appreciate the baroque and Greco-Roman design of the Neptune Society Columbarium. Many of niches store urns of celebrities. The main Episcopalian cathedral of San Francisco is situated in the posh Nob Hill area. Althought the church was finished in 1964 it has got an old-days aura to it. The original Grace Church was ruined during the 1906 Earthquake after which the Crocker family offered their property to build a new cathedral. The Episcopalian cathedral is an almost exact replica of Notre Dame in Paris. The most impressive part of the church is the main door, called the Ghiberti Doors which was believed for a long time that it had been removed from a Renaissance church in Florence. But now is known that it is a replica of the doors located on the Baptistery - just across the Duomo in Florence. The Transamerica Pyramid is one of the most significant and most recognizable buildings of San Francisco. The original observation deck was closed after the 9/11 attack, however they opened a Virtual Observasion Deck with monitors. The construction started in 1972 and was finished in just 3 years. The building was raised to be the home of A.P. Giannini's Bank of Italy. Mr. Giannini was the founder of Transamerica Corporation. Later changed the name to Bank of America. Although the headquarter since than changed it's location the pyramid shaped building is still associated with the company. If you are in the area you mustn't miss The Sentinel Building which is in sharp contrast of the Transamerica Pyramid building architectural style. This was nearly finished in 1906 when the Earthquake hit the city. Luckily the frame survived and could be completed in 1907. This builidng is well known for the company called "Ceasar's" that created the Ceaser salad. The San Francisco City Hall conveniently situated in the Civic center was inaugurated in 1915. It is the fifth city hall of the city as the previous one was destroyed in the 1906 Earthquake and instead of rebuilding it they started a brand new project. However the fourth city hall took them to build 27 years and it was demolished in about 28 seconds. Some of the significant event that happened in this very building are the marriage of Joe DiMaggio and Marilyn Monroe or the assassination of mayor George Moscone and supervisor Harvey Milk by the former supervisor Dan White. 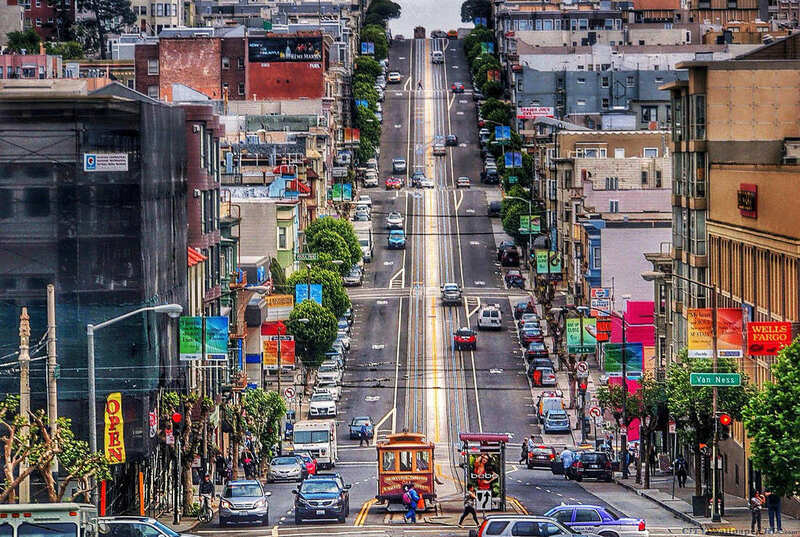 San Francisco's Chinatown is reportedly the second biggest right after the Manhatten Chinatown. It was the first Chinese community in the United States located in a really good position near to the city centre. The entrance to this separate universe in the big city is on the Grant street which gives a good starting point to discover the area. This part of city is a paradise to tourists searching for souvenirs but offers a great range of restaurants, bars, tea shops and the oldest Chinese temples of the USA. The Fisherman's Wharf is where most tourist are concentrated in San Francisco and is definitely the place to eat, mainly caters for seafood lovers as it has a wide variety of ocean fish and the much desired Dungeness crab, that is one of the meetiest crabs in the world. Another beloved tourist attraction is Pier 39 which apart of many bars, unique shops, street performers, video arcades and restaurants has a very special feature of the sealions, most of which are male. In just a little area you can find many interesting museums such as the Musée Mécanique, the Wax Museum and the San Francisco Maritime National Historical Park and the Aquarium by the Bay featured in Finding Dory. The Fisherman's Wharf district is famously the home of San Francisco's fishing fleet since the 19th century. 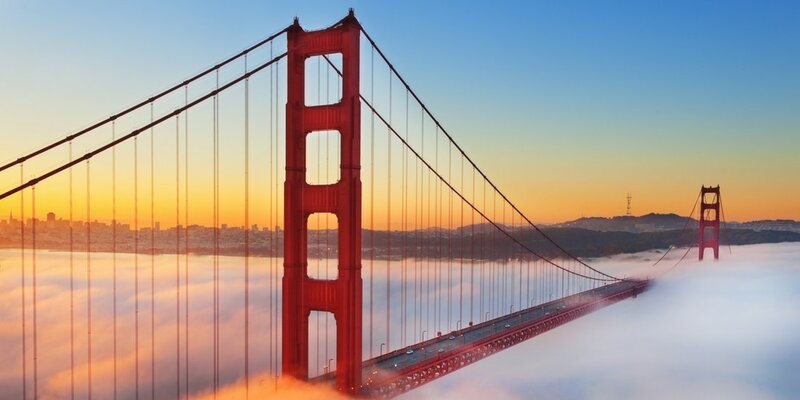 The neighbourhood provides stunning views to other famous monuments such as the Golden Gate Bridge and the Alcatraz. The worlds one of most famous bridges was openned in 1937. It's colour is somewhat misleading as most would think it is red however the colour is called "international orange" which back in those days caused a big dislike among the inhabitants of San Francisco as they wanted to be painted to the usual grey colour. However the orange won and ever since we know the bridge in this vivid colour. The construction of the bridge cost a total of $35 million dollars and since it's opening about an 800 people chose this place to commit suicide. Just on the South side of the bridge you can find the most spectacular beach of the city the Baker Beach. Tourist may think that shark attacks are very common in this area as the shores are washed by the open Pacific but there was only one reported attack in 1959 when a teenager was attacked by a great white shark. Most sharks of the bay are bottom-dwellers and not known to attack humans. 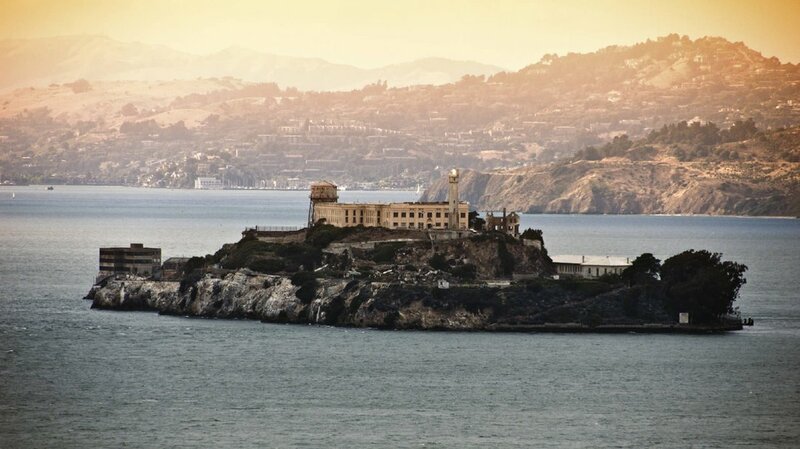 The most famous and most exciting sites of San Francisco is undoubtedly the Alcatraz. The name of the island comes from Spanish and it means pelican. If anyone wants to visit this peculiar island has to book the tickets way ahead as the waiting list can be as long as one week. The only way to visit the former prison is by boat. It is said that Al Capone however arrived to the prison back in his days on a train as they were so scared that he would try to escape, it was arranged to place the whole train compartment on a boat without moving him before arriving to the island. The fort was built originally in 1859 but it become a maximum-security Federal Penitentiary in 1934 as during the Great Depression and Prohibition there was a severe increase in crime. During its 29 years of operation Alcatraz claimed no one ever escaped from this prison however there were several attempts. Speculations say that in 1962, 3 of the inmates successfully escaped as their bodies have never been found. The prison closed in 1963 when it became too expensive to run. This world famous edifice "starred" in many movies the most famous are The Rock, Birdman of Alcatraz, Point Blank and The Enforcer.